“Dying with your private key — A thing of the past” lead by Co-Founder and CEO of Infinitus, Xanne Leo. This topic picked the interest of most of the audience. Infinitus provide a service to safeguard user’s private key. It is also suitable for all types of crypto wallets and passwords and pin-codes. The biggest advantage of Infinitus is if you have lost your private key and your laptop has crashed, you will still be able to get your private key to your cryptocurrency wallet back. To access this service, it is important to purchase an “INF” Token which has to be delivered to the INF Mobile App. To set up “SmartDes Repository” it needs 1 INF token and your customized inactive trigger. The minimum days for the trigger is 90 days inactivity. If there is no activity in your wallet because you lost the the key, an email would be sent out after 90 days to the email you designated and you would have all the accesses back to your key and wallet. 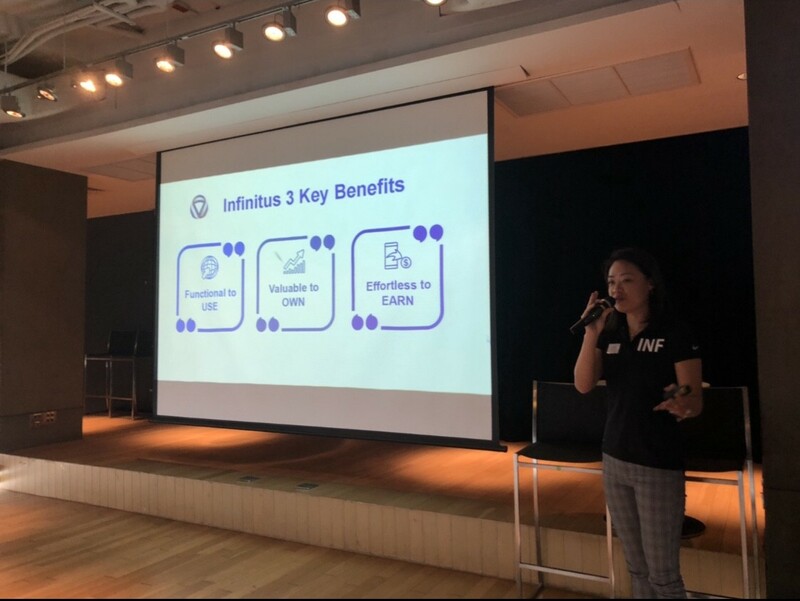 Currently, Infinitus is holding an airdrop campaign with Bitkub.com. Infinity is giving away 3,000 INF tokens which are worth to ~115,000 THB it through an Airdrop. The event will end on 17th March 2019.